It’s been 63 years since the executions of Julius and Ethel Rosenberg, but the main features of their crime and punishment are so familiar to Americans that an episode of The Simpsons in 2010 used their names—with no further explanation—to beef up a punch line. The long life of the Rosenberg case is due principally to the short life of its chief protagonists, for it was their deaths at the hands of the United States government that assured its longevity. Although the Rosenberg library is voluminous, the latest addition, Executing the Rosenbergs: Death and Diplomacy in a Cold War World, has an original perspective. Approaching the story obliquely, it focuses not on guilt or innocence but on the response of two American administrations to the worldwide outcry the case inspired. Historian Lori Clune, the author of Executing the Rosenbergs, tells us that she started out to write a different book, but plunged into this one when she uncovered a “treasure chest” of previously inaccessible telegrams and letters pertaining to the Rosenberg case. As one who decades ago took a similar plunge, and for a similar reason, I appreciate how exciting the discovery of a pristine archive can be to a historian. But while the documents she found are extensive and wide-ranging—consisting of more than 900 communications between the State Department and US foreign service officers in 48 countries—they tend to be redundant and some are not really new. Still, the collection offers interesting insights into the psyche of the American political establishment in the early Cold War years. The collection offers interesting insights into the psyche of the American political establishment in the early Cold War years. The first hint of trouble abroad came in October 1952, after the US Supreme Court declined to review the case. That month, US Ambassadors in London, Paris, Rome, and The Hague notified the State Department that pro-Rosenberg, anti-American articles were appearing in the Communist press. The London ambassador subsequently reported that much of the British public was critical of American justice and regarded the death sentences “with horror.” He advised Washington that, “From [a] public relations point of view here, the sooner [the] final outcome [in the] Rosenberg case is reached the better.” He requested a fact sheet on the case, but none came. Soon, calls for information to help refute “Commie propaganda” were arriving in Washington from a number of embassies. Diplomats in Bonn specifically requested State Department guidance to combat claims that the Rosenberg jury had been “under [the] spell of U.S. hate psychosis” and that a “pogrom spirit” had gripped “Fascist U.S.A.” The US ambassador in Paris cabled Washington to ask for a fact-based account of the Rosenberg trial. His telegram, which was among those recently recovered, has a notation scrawled across it: “no action, file.” Ambassadors and consuls charged with representing US policy abroad were left to cope on their own without adequate knowledge of the government’s position. Finally, a young press attaché at the Paris embassy took it on himself to return home to study the case and prepare an unofficial white paper that would answer the most pressing questions. But since the attaché, Ben Bradlee (later the editor of The Washington Post), was not granted access to FBI or other government files, his research was necessarily restricted to publicly available trial and appeals records. Consequently, most of Bradlee’s 18-page report was given over to a detailed summary of open courtroom proceedings. In the last two pages, however, he made a stab at framing answers to a number of commonly voiced doubts about the case. In response to concerns that anti-Semitism had influenced the verdict and sentencing, for example, he pointed out that “judge and prosecutor were Jewish.” And to mollify those who wondered, “How could [David] Greenglass, a mechanic, know anything about atomic energy?” he offered Greenglass’s own testimony that he had given Julius Rosenberg a drawing of a high-explosive lens mold and a schematic of an atomic bomb. With information in hand at last, the Ambassador to France forwarded copies to a dozen US embassies in Western Europe and sent a French translation to newspapers and to US missions in French colonial cities that were experiencing pro-Rosenberg protests: Beirut, Cairo, Tangier, Algiers, Casablanca, and Saigon. He also dispatched a copy to President Truman’s secretary of state, Dean Acheson. Although the secretary was evidently glad to have Bradlee’s summary, he sidestepped any personal connection to it by instructing the ambassador in Paris to have it distributed to some three dozen embassies, ranging from Tehran and Cape Town to Taipei and Buenos Aires. With the executions scheduled for January 1953, demands for President Truman to spare the Rosenbergs increased and became more widespread. As the fateful date approached, foreign-service officers around the globe reported that non-Communist mainstream newspapers were calling for commutation of the death sentence. Pope Pius XII issued a statement expressing the “sense of horror” aroused by the pending execution of a woman and conveying sympathy for the Rosenberg children, Michael and Robby. US embassies and consulates were inundated with letters and petitions and besieged by protesters carrying signs that said “Sauvons les Rosenberg” in Paris and Montreal, or, more cryptically, “Restore Michael and Robby to Their Parents” in Milan. Pablo Picasso, Jean-Paul Sartre, and Bertolt Brecht added their voices to the millions supporting clemency. Albert Einstein and Nobel Prize–winning chemist Harold Urey announced that they had written to President Truman expressing reservations about the Rosenbergs’ guilt and appealing to him to commute their sentence. But Truman left office without making a decision. Dillon’s strongly worded statement evidently made an impression, for it was distributed to high-level government officials and even to the president. However, a follow-up telegram he sent soon afterward did not fare as well: It was marked “no action” and quietly filed away. A communication from the US mission in Brussels complaining about the meager information available on the case received the same short shrift. On June 13, with the execution just days away, the State Department sent a message to over 40 foreign stations with instructions on how to respond to what it persisted in labeling Communist propaganda. The department’s suggestions, polemical rather than explanatory, emphasized the seriousness of the Rosenbergs’ crime and the fairness of US justice. Why did State Department personnel in Washington repeatedly ignore diplomats’ requests for information? One possible explanation is that they harbored misgivings about the trial. 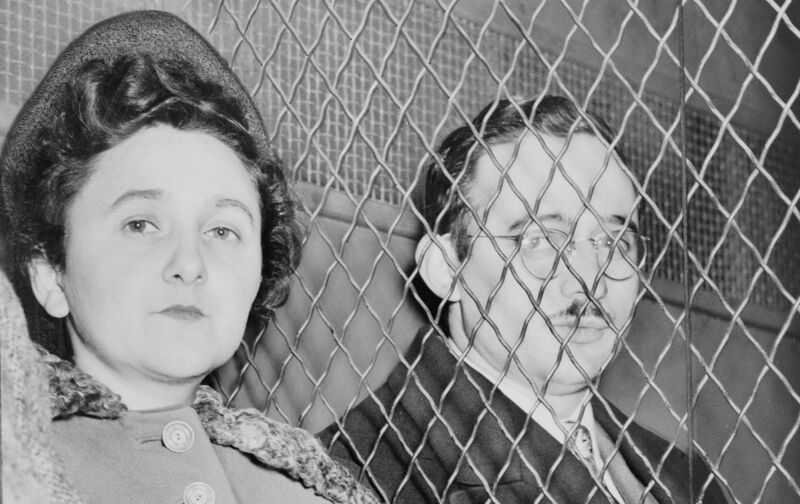 Indeed, we now know that some government officials were aware at the time that there were serious flaws in the case: that the evidence against Ethel Rosenberg was weak, that she was being used as “a lever” to break Julius, and that the information passed by David Greenglass was of minor importance. Also possible is that some officials preferred to distance themselves from a sentence that people around the world found morally repugnant. Executing the Rosenbergs presents a sad, frustrating tale in which two lives were sacrificed to a fear of communism so intense it distorted judgment. A conservative Dutch paper accurately commented that the death sentence did “more harm than [any] act of the Rosenbergs could ever have done.” Ultimately, the legacy of the executions was long-lasting concern that the leading nation of what was then called the “free world” had abandoned fairness, humanity, and the tolerance for dissent that is the hallmark of a democracy. Miriam SchneirMiriam Schneir has written frequently on the Rosenberg case. She is the co-author with Walter Schneir of Invitation to an Inquest and Final Verdict: What Really Happened in the Rosenberg Case (Melville House, 2011).